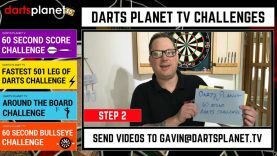 HomeDarts Planet TVDarts Players Don't Fear Michael van Gerwen Anymore! Do you think that other darts players fear Michael van Gerwen like they did 18 months or so ago. Still a dominant World number 1, but certainly not having it his own way anymore. Please leave your comments below and get involved in our poll.